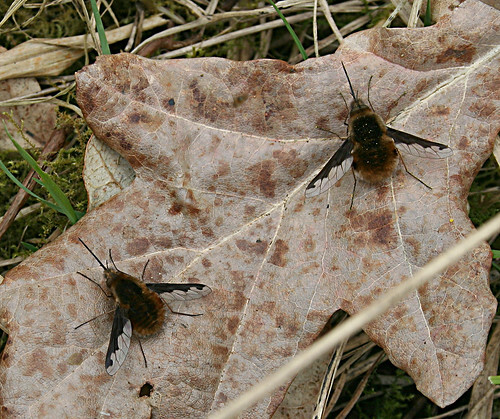 Warm conditions during the Spring always provide great conditions for early season insects at Tophill Low NR, East Yorkshire – and the opportunity to photograph Bombylius major. 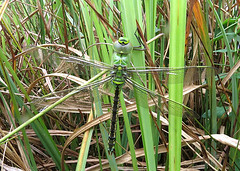 A fantastic little insect, its a species which shows in good numbers at this time of the year with maybe 20 or 30+ showing in sheltered areas away from the wind. 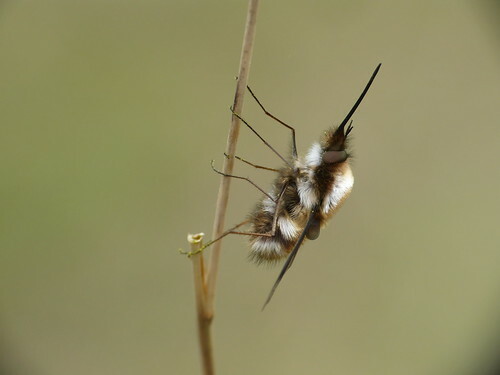 The opening weekend of April saw the moth list increase to 544 species since site recording began in 1992. 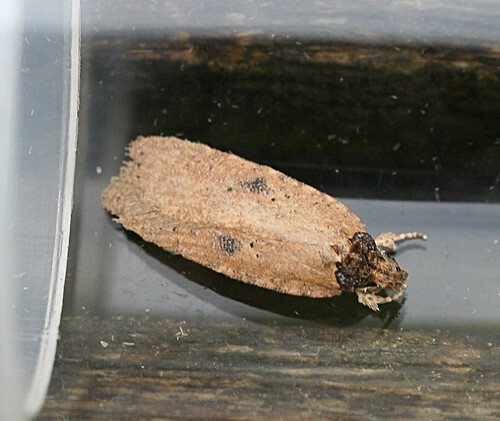 A leaf mine collected last autumn by Andy Nunn and bred out saw Phyllonorycter quercifoliella added to the list, while this Agonopterix subpropinquella below was found in one of the hides. 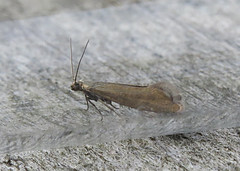 Both scarce Yorkshire species, Phyllonorycter quercifoliella has only been recorded in double figures across four of the five regional vice-counties, while Agonopterix subpropinquella has only been recorded on 28 occasions since 1859 in the county up to the end of 2012 (per Yorkshire Moths). Away from the scarcities, a good number of moths were trapped over the weekend. 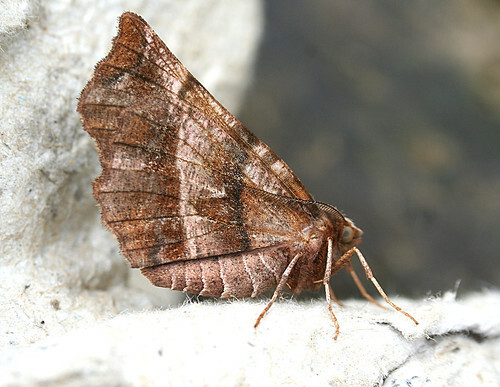 The highlight being the opening Early Thorn Selenia dentaria of the season while the first March Moth Alsophila aescularia for a month appeared overnight on the 4th. 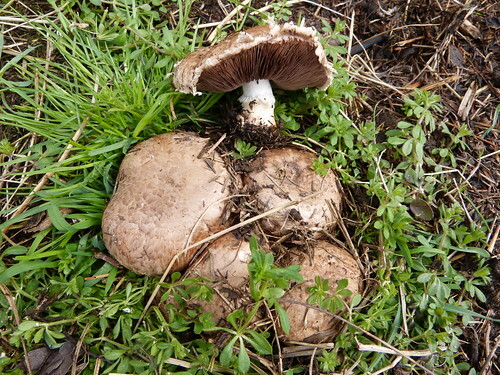 One of the few new fungi species for the year to be recorded over the weekend was this Agaricus cappellianus Clustered Mushroom photographed by Doug Fairweather – sources say this species is ‘enjoying a second flush this Spring’. Already on the list, it is yet another fungi that has changed name over recent times. 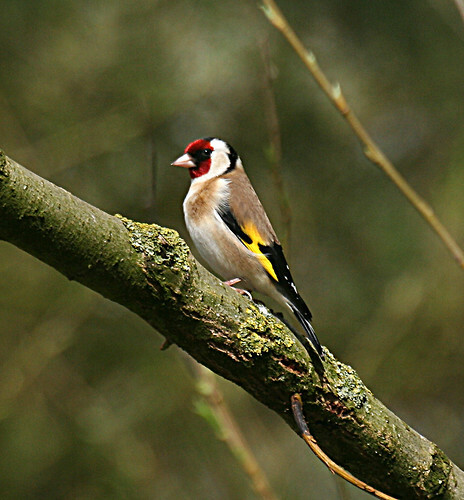 This Goldfinch Carduelis carduelis was one of the few birds to pose in often gloomy conditions over the weekend. Two Scaup Aythya marila were present on D reservoir on both Saturday and Sunday, while summer migrants appeared in good number with a minimum of six Blackcap Sylvia atricapilla and 12 Willow Warblers Phylloscopus trochilus singing in the woodlands and scrub. A mixed flock of Sand Martin Riparia riparia and Swallow Hirundo rustica hawked the reservoirs at times, often dispersing making it difficult to keep track on numbers. Otherwise birding was pretty uninspiring with just a trickle of alba Wagtails moving and a new Buzzard Buteo buteo, presumably a migrant, being recorded.